It’s raining, so we have a very short window for picking but we’re showing a friend how to can tonight, so we needed pears. We picked two kinds at Talcot and one at GS, so I thought since we had them on hand I’d do a comparison. In the back row we have GS pears (delicious for eating), Hospital pear 1 (good for eating if you can get past the skin), Talcot pear 2 (good for canning). In the front row we have Talcot pear 3 (an old kind called an “immigrant” pear, used for animal feed. 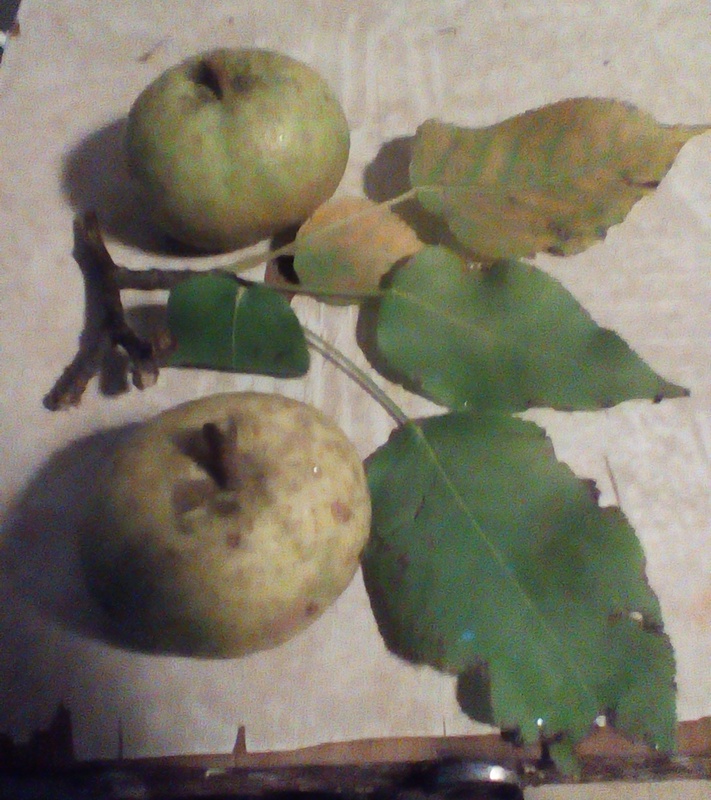 Not really edible) and Hospital pear 2 (no real flavor, when they ripen they turn brown inside). 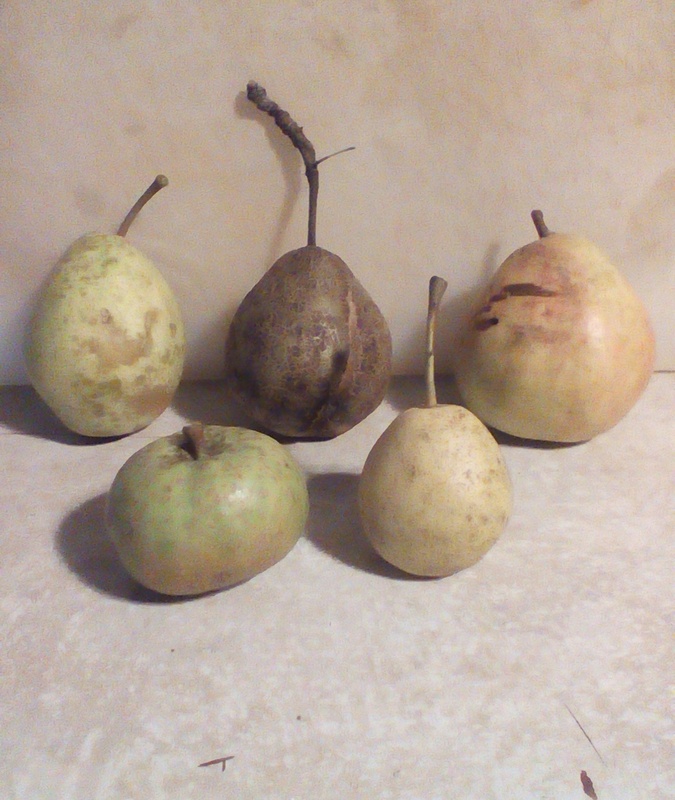 Here’s a closer picture of the immigrant pears. They’re very hard, no real flavor, keep for a long time. You can’t really peel them or do anything else with them. If I can track down my information again, I’ll post it.